When it comes to accessibility features, iOS is packed to the rafters with them. From zooming the screen to triggering hardware buttons using Multi-Touch, your iOS device is designed to accommodate the needs of everyone. 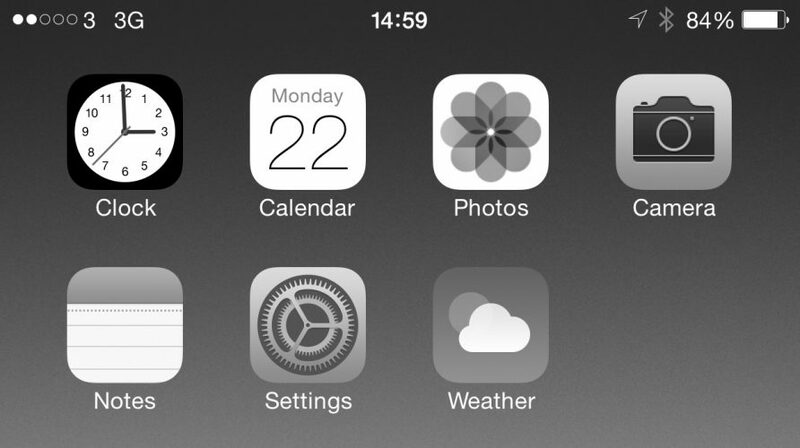 iOS 8 introduces a few more, one of which being the ability to turn the screen into grayscale mode. This renders everything in black and white, which is useful for those with severe colour blindness.